$20.00, send an e-mail to put one aside for pick up at Ottawa Farmer’s market. Thanks for the Ice Cream!!! 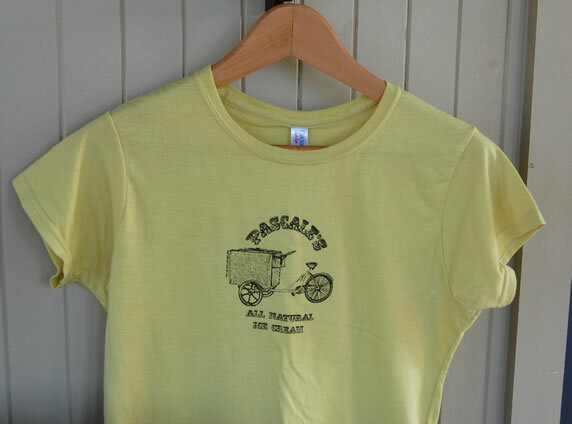 Pascale you made our Wednesday night with your delivery of sweet creamy deliciousness, me and Lisa will fly your flag anyday and will need some t-shirts for the upcoming summer! Thanks again, that was so kind of you! Next time we’re having a drink or two! P.S. Anything Peanut Butter/Chocolate in the works you let me know, i’ll sell my soul for that combo!